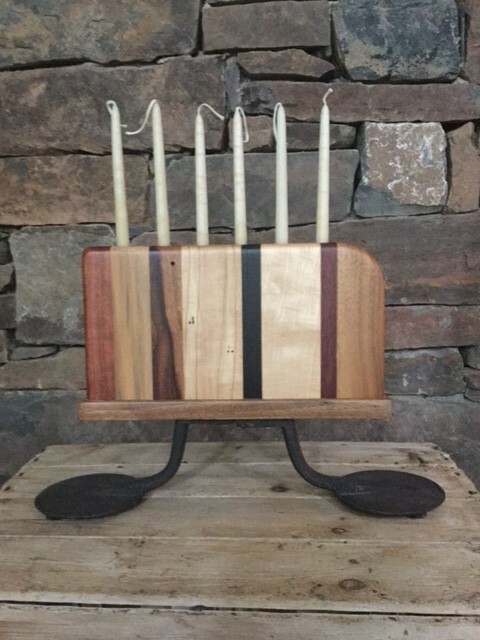 Great mix of woods create a wonderful candle holder mounted on 2 antique steps for a horse drawn carriage. Available. $90. I usually have a number of candle holders available. All of these are ready to go. 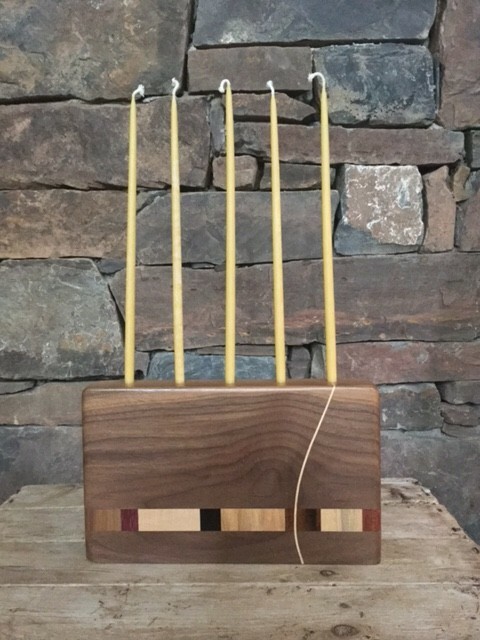 An interesting piece of walnut separated by a breadboard section with a maple slice to add more flavor. more information email larry@larryricci.com or call 267.614.3659. 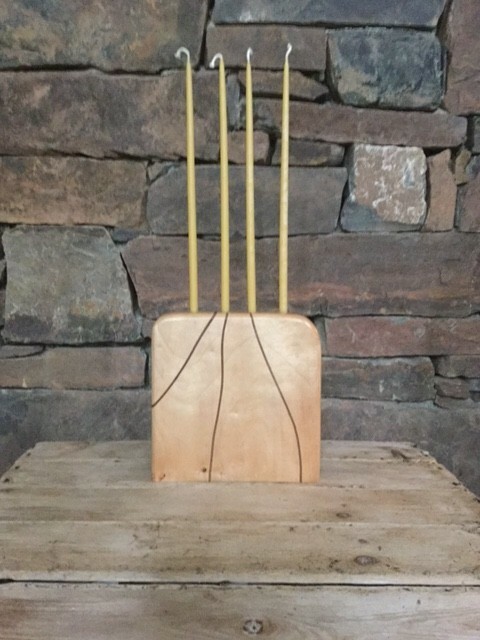 Breadboard sections of hardwoods in harmony. Interesting accent piece. 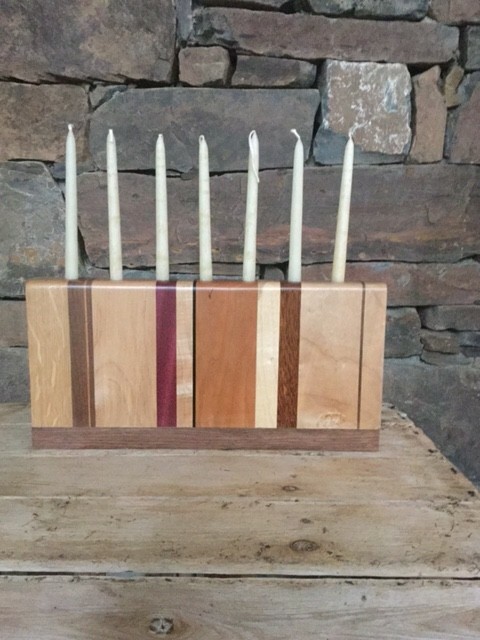 Fits tapered candles.